Welcome to the Royal Canadian College of Organists, (RCCO), Edmonton Centre! We are an Edmonton and area group of organist performers and appreciative listeners who love organs, organ music and organists. As part of a nation-wide community ranging from inquisitive young minds to experienced professional organists with a passion for the organ and its music we seek to enrich the lives of others with our music, skills, and knowledge by promoting the instrument, its music, composers and performers. Founded in 1959, RCCO Edmonton Centre is one of 28 RCCO centres based in cities coast to coast and offers a network of resources as well as educational and scholarship opportunities to local organists, students and organ enthusiasts through a variety of programs, events and concerts. Scholarships – RCCO Edmonton provides scholarships for several levels of students, including pianists interested in beginning to play the organ. The scholarships provide funds for private or institutional studies. 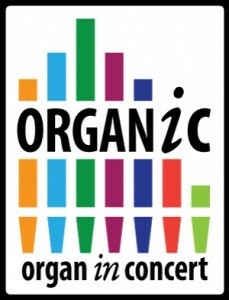 Organic – The Organ in Concert, (formerly Sundays at Three) is RCCO Edmonton’s annual concert series. Premiered in 1980, it is the longest continuously running concert series in the RCCO. International, national and local artists have performed on the series which feature the city’s finest instruments. The deadline for RCCO Edmonton Scholarship applications October 31. See the Scholarship page [hyperlink] for a list of the available scholarships, requirements and the application forms. Interest in the organ is on the rise. Over the past few years, applications to our Beginning Organist Scholarship Program have been increasing and the quality of musicianship of these pianists interested in the organ is extraordinary. However, we don’t have enough scholarships to meet the demand. To help launch the next generation of organists in our city, consider donating to our Scholarship Program. RCCO Edmonton is a registered charity. A tax receipt will be issued. For more information on our Scholarship Program, click here.